2018 promises to be one of the most interesting year on the market of portable devices. 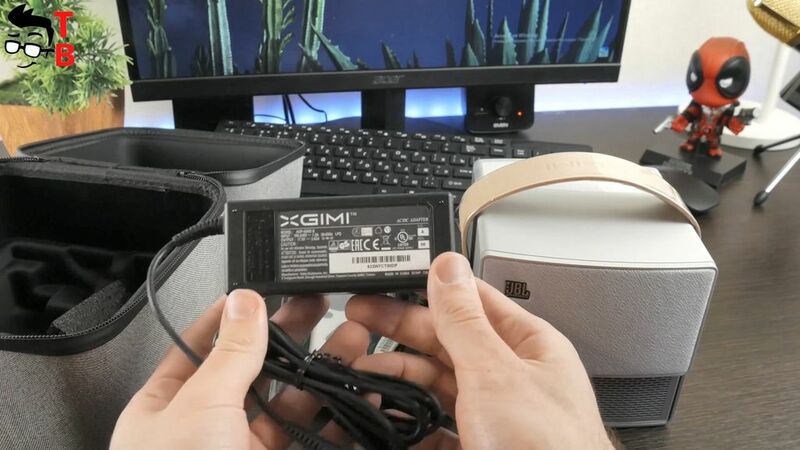 Today we are going to review the best portable projector called XGIMI CC Aurora. This device easily fits in a small bag, and it is designed to use somewhere on a trip or conference. It is also great for outdoor using, for example, in a park. It is the main advantage of portable projector over stationary projectors. 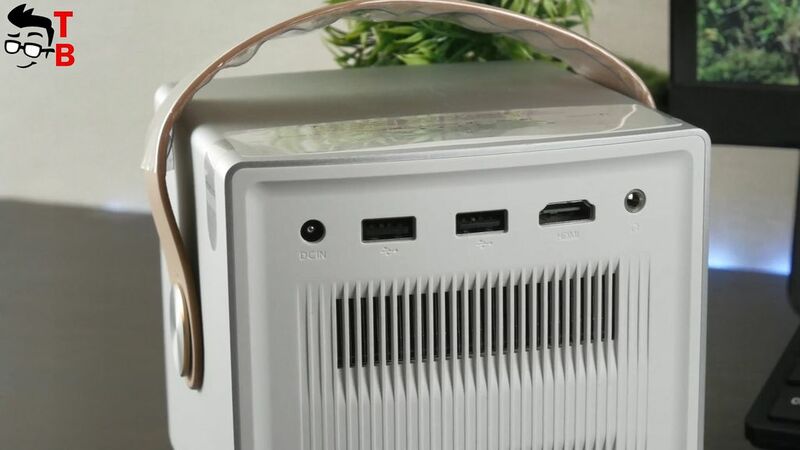 The Chinese version of XGIMI CC Aurora was introduced in early 2017 at CES. Today, the projector is sold in many Chinese stores with the shipping to Europe and US. In description you can find links where to buy it cheaper. 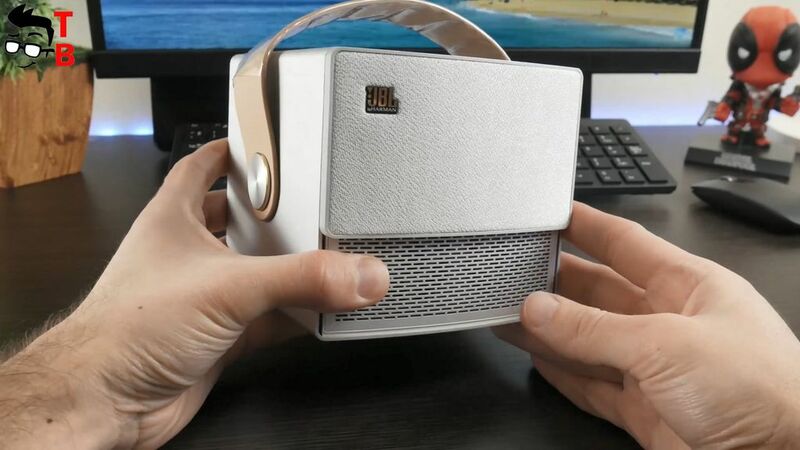 I was waiting for this projector for a long time, and I am excited that manufacturer was able to equip good specifications in a small device, such as JBL sound system and amazing battery life. 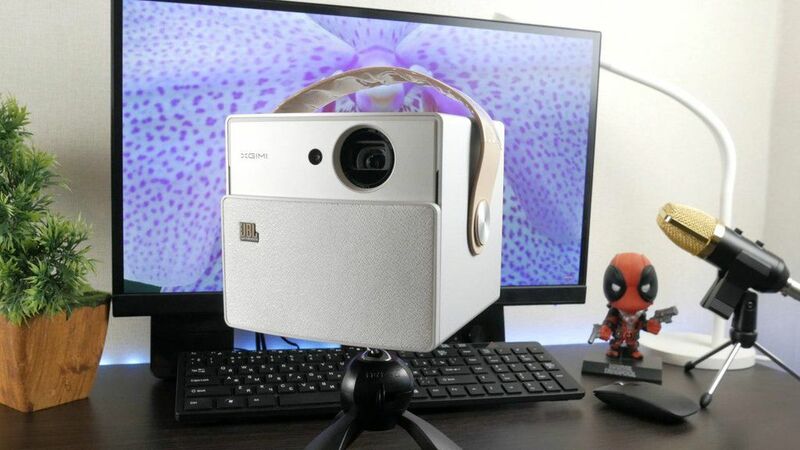 In this review, I will try to find out all features of XGIMI CC Aurora, and then sum up should you buy it or not, because this is not a budget projector – about $500. Let’s start with unboxing. I received the projector in cardboard box. This is a regular shipping box, but the most interesting is inside it. Here you can find many other white boxes of different sizes. Let’s start with the projector. You can see XGIMI logo, as well as CC Aurora model. 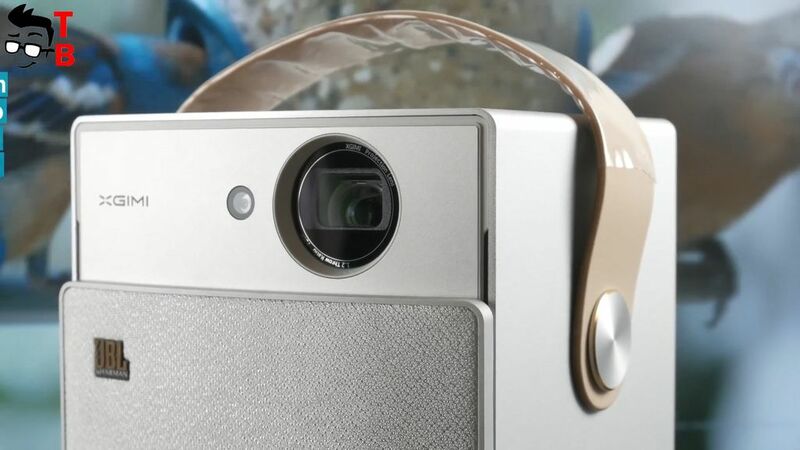 Also, you can find JBL logo, because it is one of the main partner in development of this device. Inside the box you can find the projector in a brand bag. 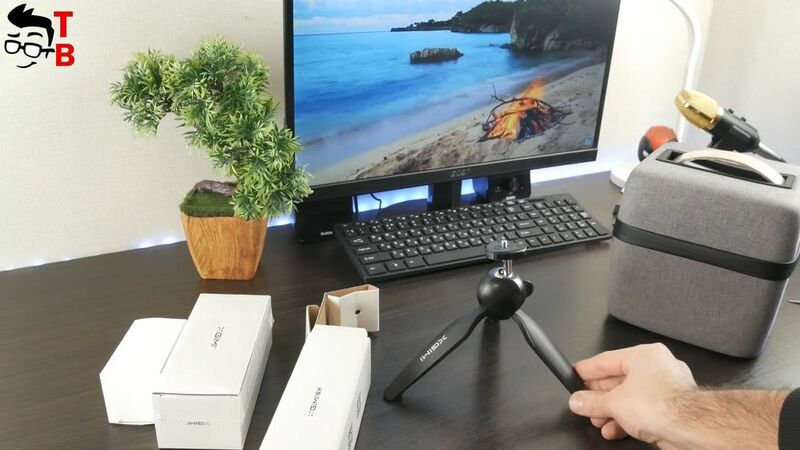 By the way, this device has many useful accessories in a package, such as bag, tripod, glasses, but also you can buy them additionally. In my opinion, the bag is very stylish. It is made of rough textiles with an interesting combination of colors. At the top cover is a slot for skipping the handle from the projector. I think that the slot could be wider, because it’s not so easy to push the handle through it. The bag itself is very tough, and I think that you cannot worry about the safety of the projector. Let’s look inside the bag. First, let’s put the projector aside and look at other accessories. The first compartment offers a remote control – we will talk about it a little later – and other documentation. The user manual provides information about basic functions of projector. Of course, there is a warranty card, because it is quite expensive device. Then you can find power adapter with the length of 2.2 meters. The power adapter is quite powerful – 17.5W/3.42A. Also there is two batteries for remote control. Except the bag with projector, there is a bag with 3D glasses and a small tripod. A small branded tripod looks very good. It has three legs, and they have one fixed position. At the ends of the legs, there are rubber inserts, and this is a big advantage. 3D glasses has power button at the top, and microUSB port at the bottom. It is made of plastic. 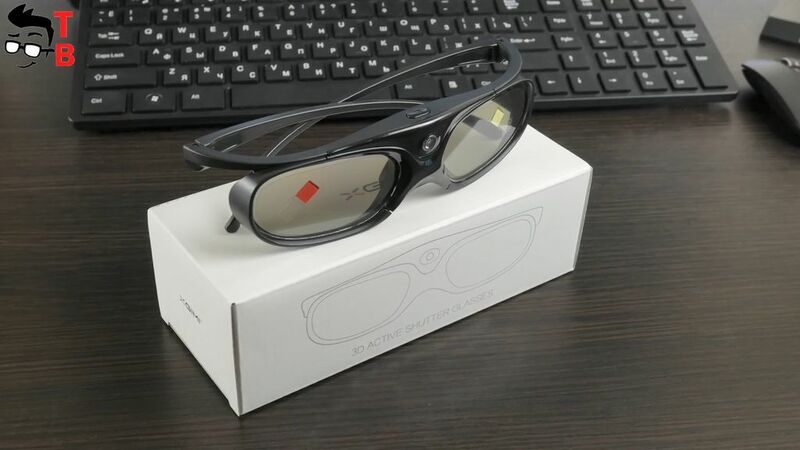 The battery life of 3D glasses is about 4 or 5 hours. Also, it has special bag to carry, and a cloth to wipe the glass, and a special thing for the nose. Now let’s look at projector. 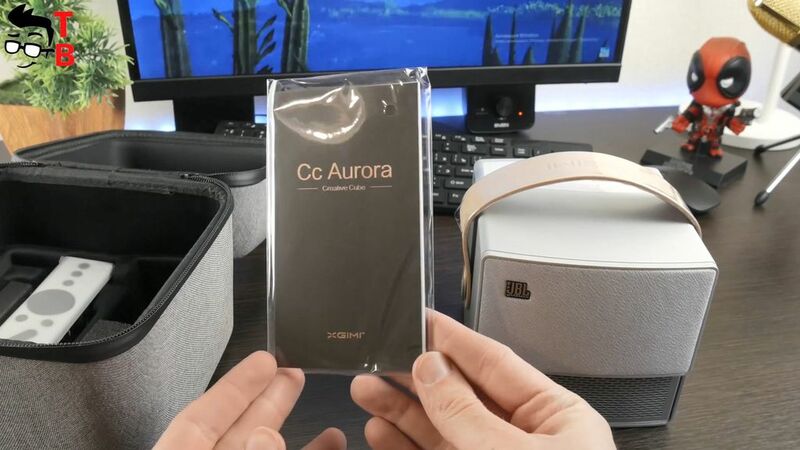 If the design is a matter of taste, but in my opinion, XGIMI CC Aurora looks amazing, however you will not have any doubts about the quality of the materials. The base of the projector is made of gray aluminum, while everything else is made of plastic. 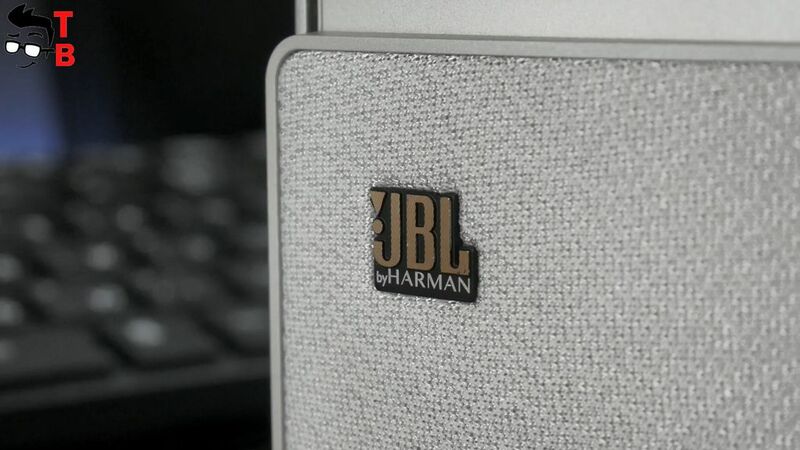 By the way, the company Harman Industries is responsible for quality sound. In addition, the sound is represented by two speakers on the front panel, as well as a membrane that generates low frequencies. A little later, we’ll check out how it sounds. There are only five buttons on projector, and all of them are located on the top cover. In addition, they are control the sound. Two buttons are the touch-sensitive volume control, as well as buttons for switching tracks. If you press Play button for a long time, the Bluetooth mode of the speaker is activated. Even when the projector is turned off, you can see battery charge indicators. All interfaces are located on the back cover. 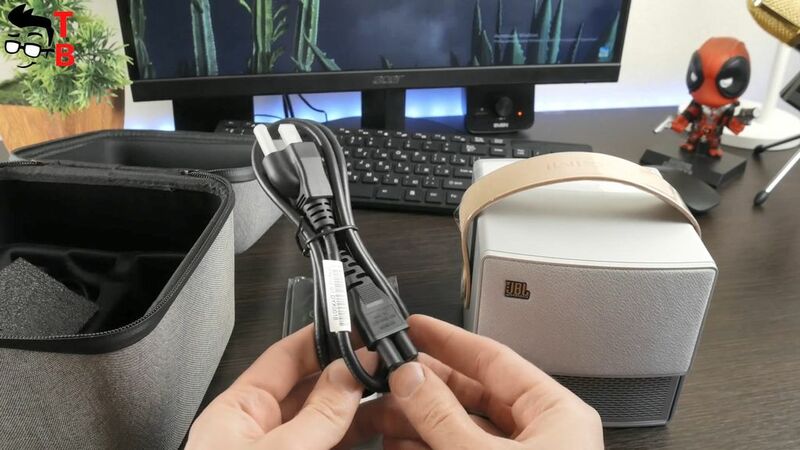 Here we have a standard 3.5 mm audio jack, HDMI port, two USB 2.0 ports, and a power connector. The base of projector has a special connector for a small tripod. In addition, there are four rubber legs, the model number of projector and supported technologies. I want to note the size of this device. For some reason, it seems bigger in photos than it really is. It is very compact projector, just look at it in my hands. 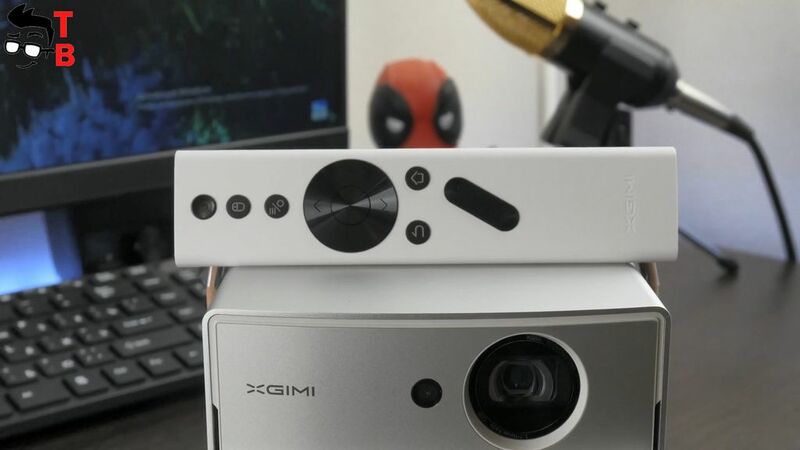 By the way, it is very comfortable to hold the projector XGIMI CC Aurora by the handle. However, if you do not need the handle, you can unscrew it. When the cover is moved down, the projector turns on. Here you can see the logo of the company XGIMI. Also, there is an eye of autofocus in the middle. The lens was protected with a special glass. 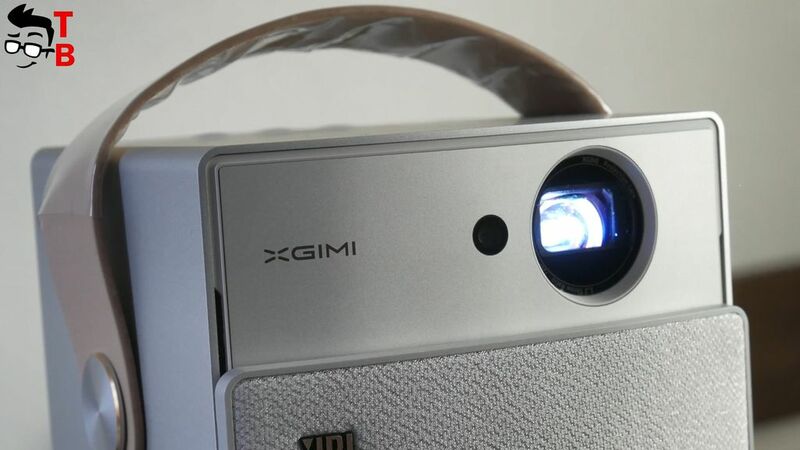 As for specifications of XGIMI CC Aurora, the projector supports DLP, RGD LED, and resolution of 1280 by 720 pixels with Full HD support and even 4 K. The brightness is 350 ANSI lumens. Also, there is support for 3D and trapezium correction vertically. 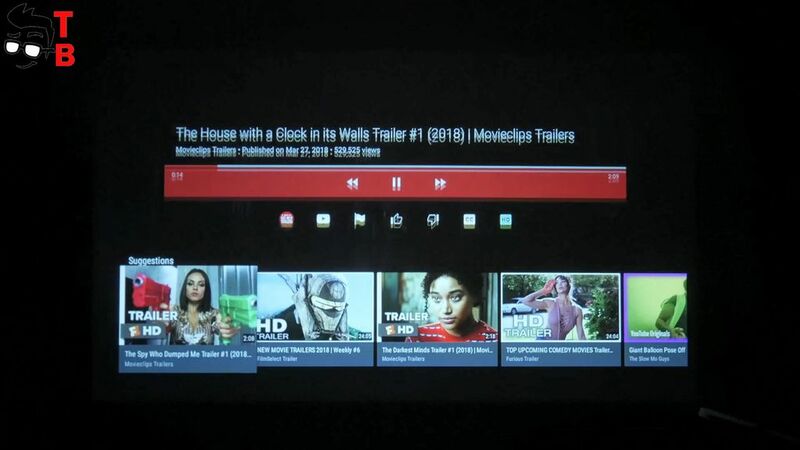 The projector is running on Android 5.1.1 operating system. It is equipped with quad-core chipset with a clock speed of 1.5GHz, 1 GB of RAM and 16GB of internal memory. As for battery, there is 20000mAh battery capacity. 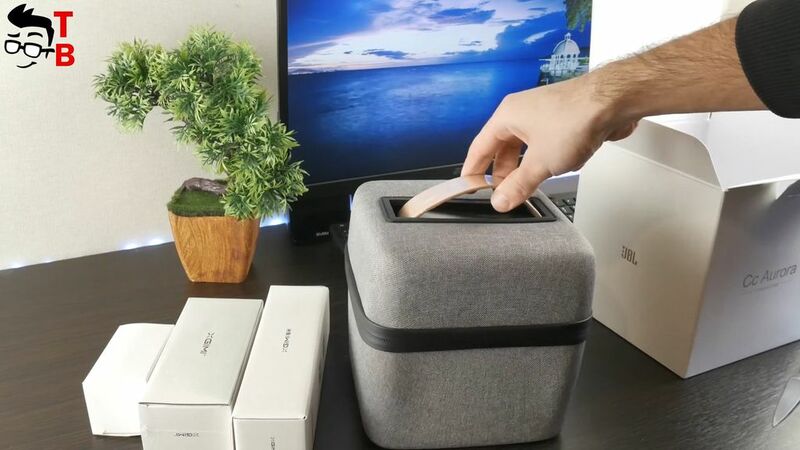 The manufacturer says that the battery life is about 8 hours, but my experience shows about three hours with maximum brightness, Wi-Fi turned on, video playback and audio playback through built-in speaker. Of course, this is much less than manufacturer said, but still very good result. If you reduce the brightness and turn off the Wi-Fi, then the battery life will be increased. The full battery charge takes about two and a half hours. 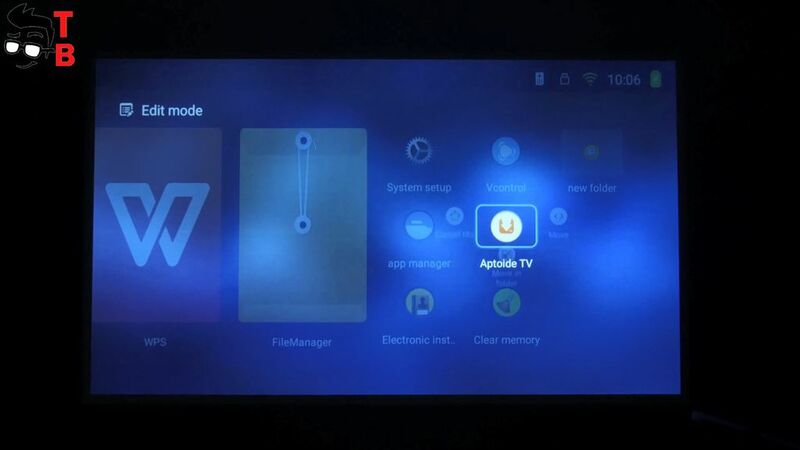 Basically, the remote control of XGIMI CC Aurora doesn’t differ from the previous models. The only difference is the plastic materials, and it does not have a mouse function. At the bottom, there is a switch to auto or semi-auto focus mode. The remote control is very comfortable to hold in hand. 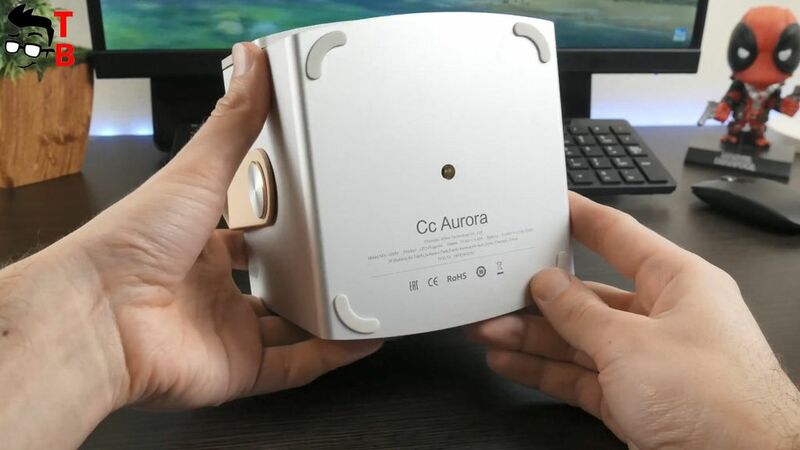 If you already used XGIMI Projectors, then you have not any problems with CC Aurora, because its user interface is almost the same. However, I will tell you about the main features. In the left part you can select the media source. Also on the right side, there is a section of all installed applications. You can move icon and create folders with apps. You can also add icons to the shortcut menu, which is at the bottom of any desktop. As before, all basic settings are grouped into six main sections. Also there is a section for all kinds of wireless connections. The first place is Wi-Fi. 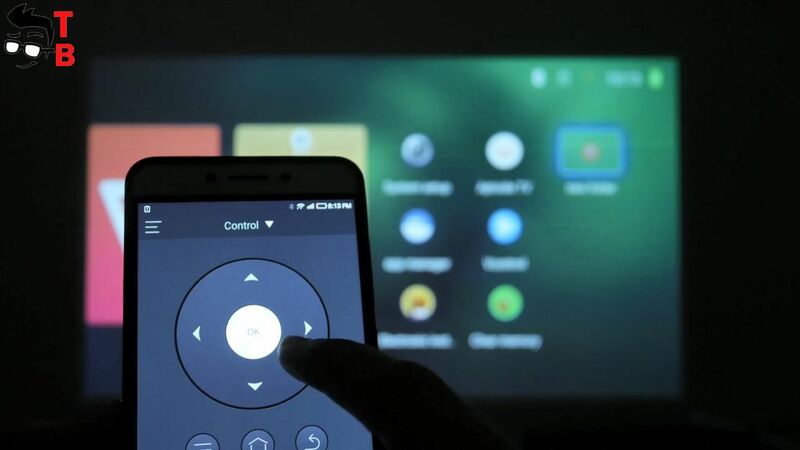 However, you cannot use the projector as an access point for connecting the smartphone directly to the projector. All Bluetooth devices use MiraCast. The second tab offers sound settings. 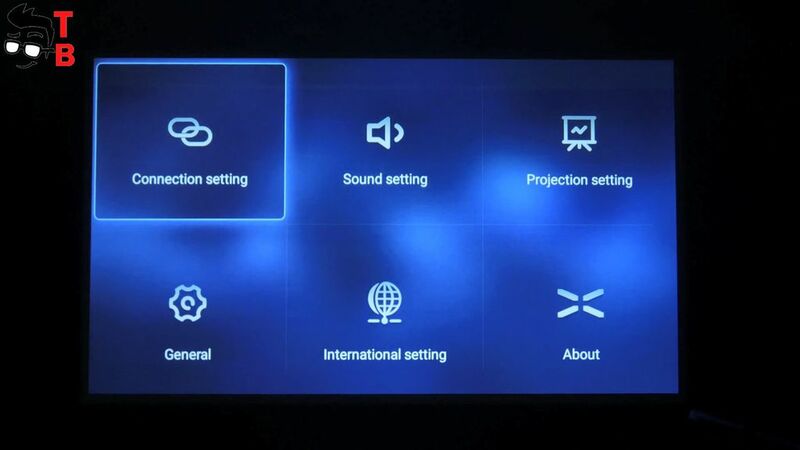 You can turn off the projector’s use as a Bluetooth speaker, and turn off the audio greeting when the projector is turned on. The basic image settings are in projection section. Here you can choose the brightness level, and intensity for each color. 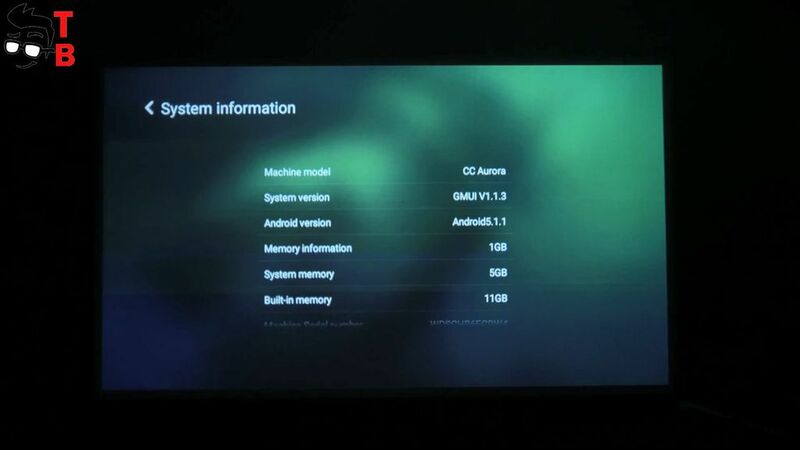 Also, you can choose the battery mode: standard, office, power saving, and custom mode. When the battery discharges, the projector will go into auto mode. If you choose a power saving mode, the project will work for a very long time, but you should watch it in total darkness. There is an option to flip the image. It allows to install the projector on the ceiling. It is also possible to turn off autofocus. Another very important function is trapezia correction. Most often, portable projectors have only vertical correction, and most of the non-portable projectors have only vertical correction. Here you can use a horizontal correction. XGIMI CC Aurora has a digital zoom, which allows you to reduce the image by 50%, as well as separately vertically or horizontally only. The maximum reduction value can affect the picture quality. There is also an option to control the speed of cooling system, but it is better to use by default. 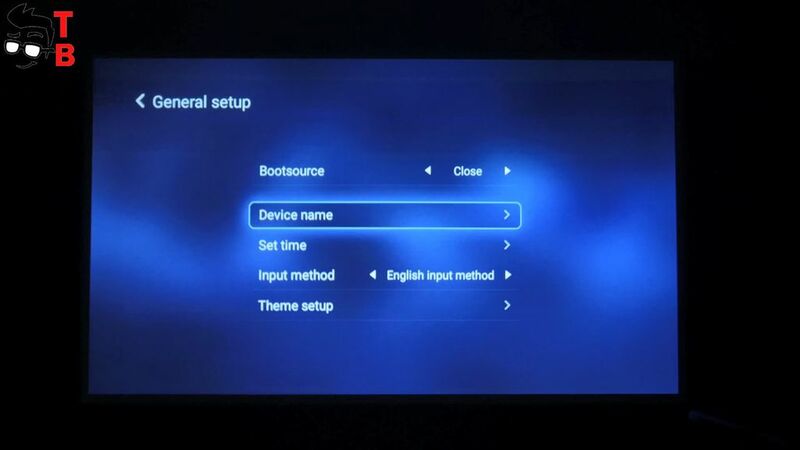 The General section provides option to choose the bootsource, for example, HDMI without entering the projector system. Also, you can select the name of projector, set the date and time, impute method, and even them setup, in other words, to change the background. The international settings provides option to choose the language and time zone. Nothing special here. The section About allows to update the software updates of projector, online update and U-disk update. Also, there is an option to reset to factory settings. 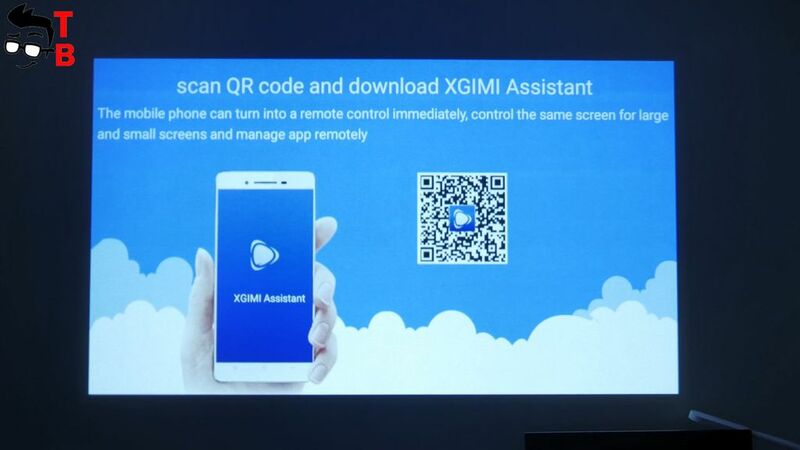 If you click on XGMI assistant for mobile, you will QR code to download an app on your phone. Let’s talk about it in details. To be honest, I cannot download the app from QR code, so I install it from Google Play Store. 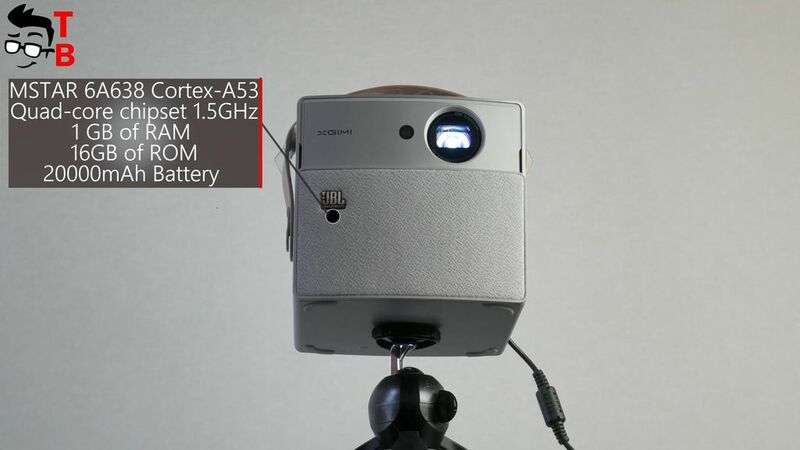 The application allows you to control the projector using a smartphone. The main functions duplicate the functions of remote control. Also, there is touchpad mode, so you can see the mouse point moving around the screen. In addition, there are many other interesting functions, for example 3D mode. 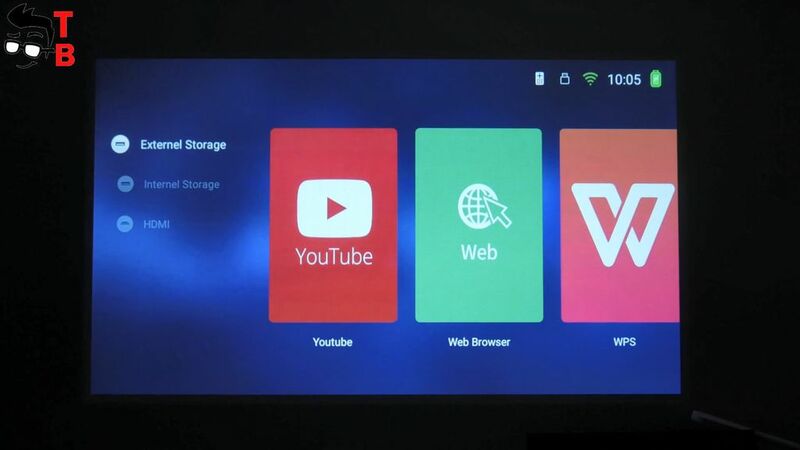 The app on your phone allows to install some of the most popular apps on projector. Also there is a special manager with installed apps on your projector. Another option allows to transfer video and photos directly to the projector. The video quality is good, but from time to time the playback slowdowns. One of the main problem of XGIMI CC Aurora is the lack of Google Services, such as Play Store, YouTube, Maps and others. However, you can install any APK files. Also you can use third-party app stores, such as APK Mirror, APK Pure and others. Although the app stores are comfortable to use with remote control, you may have problems with other many apps. It is better to connect Bluetooth mouse or use a touchpad from the app on your phone. 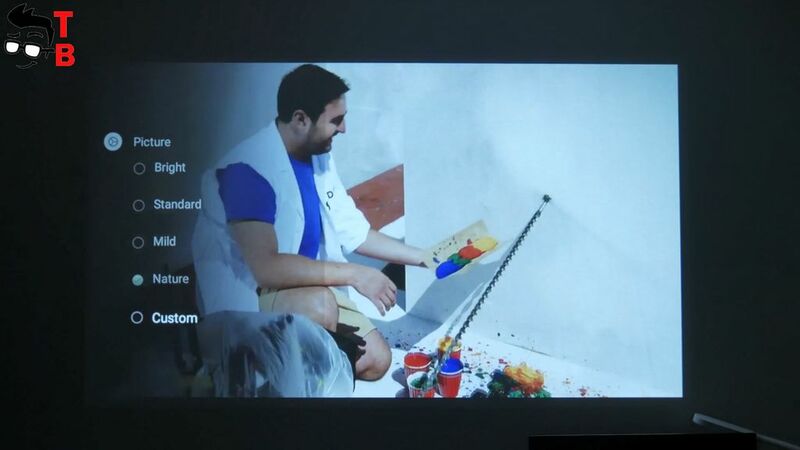 The most important application on projector is YouTube. I do not have any complaints with YouTube app on XGIMI CC Aurora. It works well. However, unfortunately, you will not be able to log into your account, and add your subscriptions. Of course, you can enter YouTube website from web browser, and log into your account. Nevertheless, for some reason the video is in very poor quality, it seems that it is only 360p. The file manager is good. It allows to watch videos, photos and listen to music. Also you can use it to install apps. 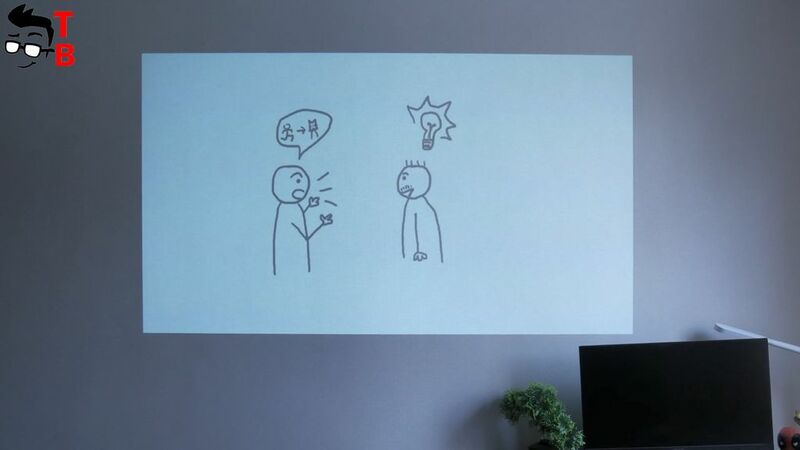 Let’s test the projector with default settings. The image looks great, while contrast is pretty good. 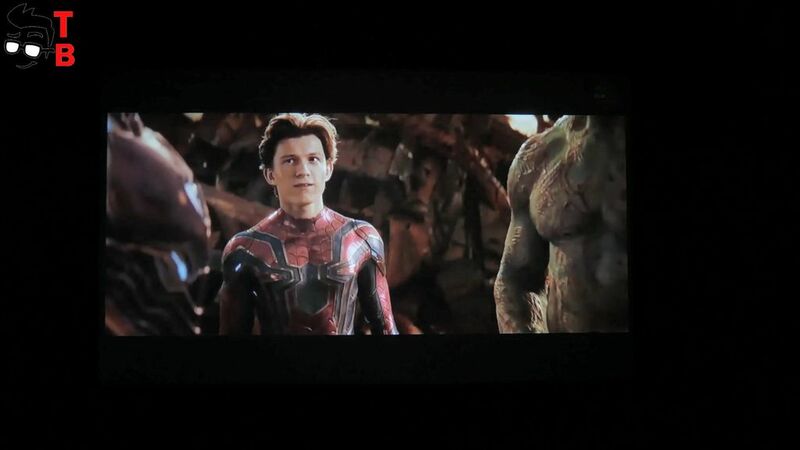 The dark colors are a little worse focusing on entire screen area. The color rendition can be compared to IPS panel on my laptop. Now let’s watch some videos. In video playback mode, you can select the settings for the image, as well as other user settings, activate 3D mode and so on. Also there are useful options for aspect ratio, the brightness of the image, and even subtitles. Now I want to show you how projector works in good lighting conditions. 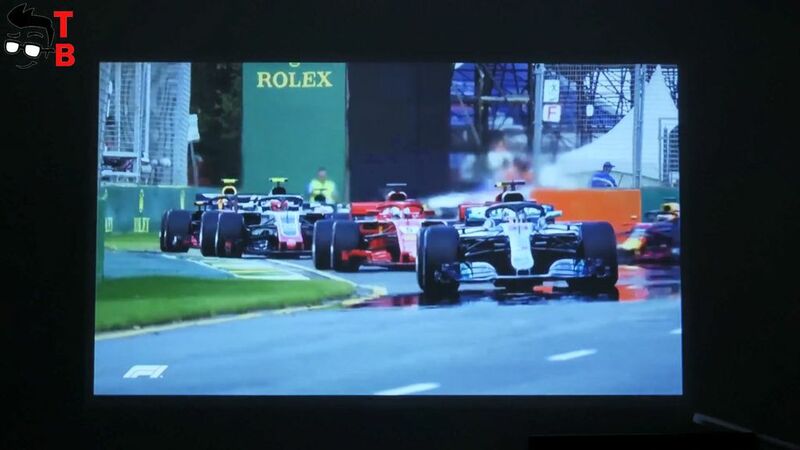 I place a projector at a distance of 3 meters, so the screen diagonal is about 70 inches. Despite pretty light room, it is possible to watch movies or even read presentation. You should note that the most important thing is contrast, so if you make a presentation, it is better black and white color. If course, if you prepare the room a little and turn off the light, then the image will be much better and more saturated. By the way, you can use XGIMI CC Aurora projector as the second screen to your PC without any additional hardware. Finally, let’s test the projector as Bluetooth speaker. First, you need to press Play button for a long time, and then run music or video. 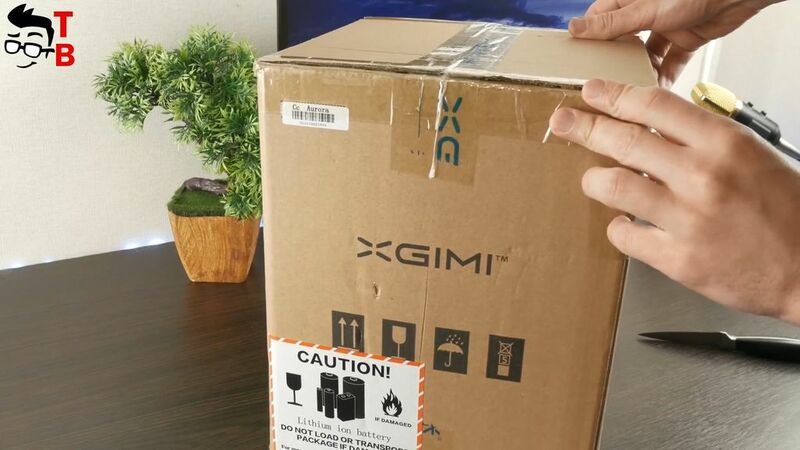 So, it was full review of XGIMI CC Aurora projector. I want to start with my first impressions of this projector. 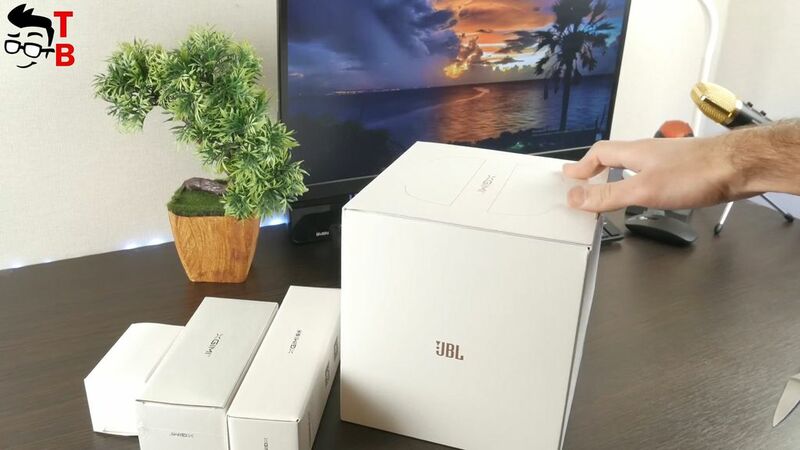 When you open the box, the first thing you see is high-quality device with many accessories. It is very portable projector, so you can use it anywhere you want. 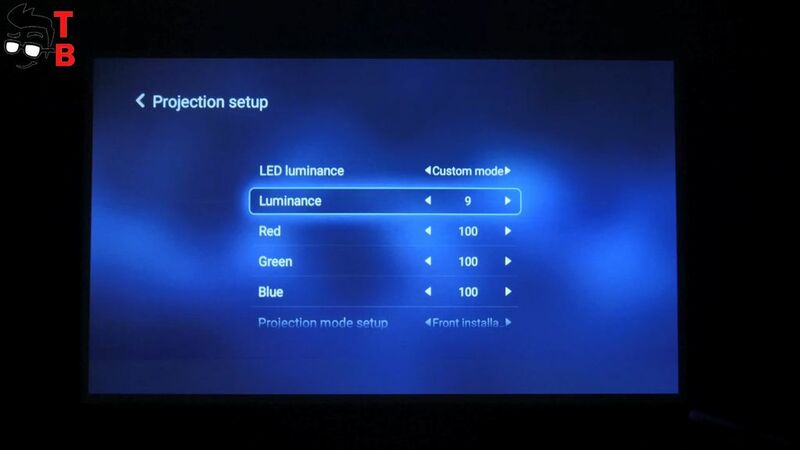 If we talk about projector features, it provides excellent gradation of colors and brightness. XGIMI CC Aurora is comfortable to watch movies on a large screen. 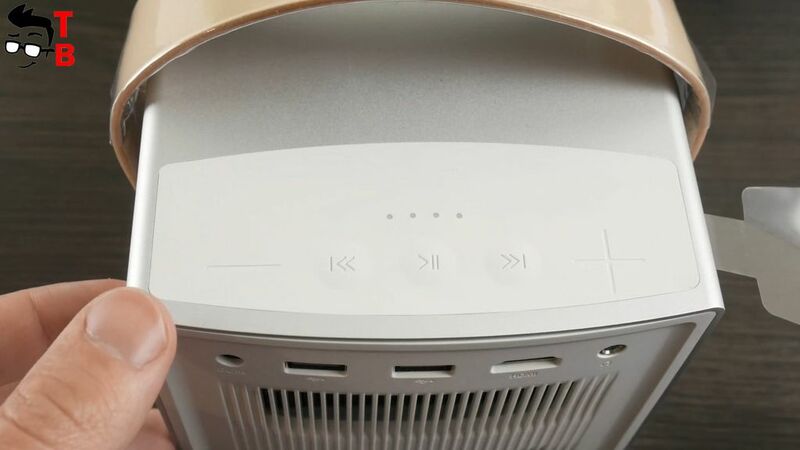 The built-in speaker in projector will also make you very happy. As for the battery life, you can expect at least 3 hours on a single charge. I think it is very good result for portable projector. However, I should say about disadvantages. The main problem of XGIMI CC Aurora is the lack of Google services. 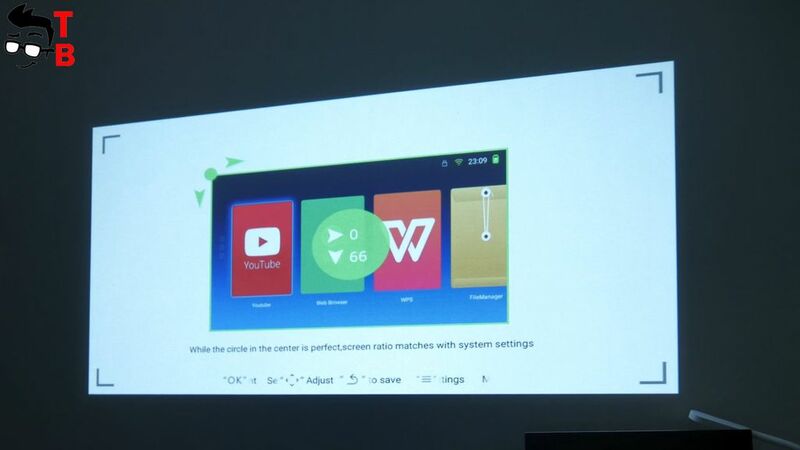 I like user interface of this projector, because it offers a lot of different options and settings, however, there is no Play Store. You should install APK files or use other app stores.